Two Dozen Colorful Roses Or 15 Multi-Colored Tulips With Vase For Just $15.97 Or Less Shipped! 1. Purchase this $40 ProFlowers gift card for $15 from Groupon. Go to My Groupons and click on “View Voucher” and copy the redemption code from the voucher. 2. 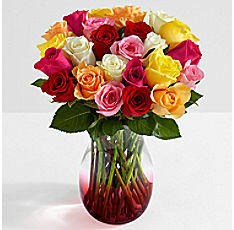 Add Two Dozen Colorful Roses With Vase to your cart by selecting a standard delivery date. Or you can add items like 20 Multi-Colored Tulips With Vase, 100 Blooms of Holiday Cheer with Large Ginger Vase, or 100 Blooms for Mom w/ Ginger Glass Vase. At final checkout you should see $24.99 for the roses and vase, $12.99 for standard delivery, $2.99 care and handling fee for a total of $40.97, minus the $40 gift card, the remaining balance will be just $0.97 (plus tax where applicable) shipped! You can save even more by purchasing a $100 Groupon Gift Card via eBay for just $85. You should receive the gift card within 15 minutes of your order. You can apply the Groupon gift card to your account here. This is perfect timing for Mother’s Day or Shavuos! Post what other flower deals you find! 153 Comments On "Two Dozen Colorful Roses Or 15 Multi-Colored Tulips With Vase For Just $15.97 Or Less Shipped!" $2.75 for the delivery here in California, but still pretty good deal. american 3 for every 1 spent on groupon. Will it come in time for mother’s day? I had $3.64 in tax, so the total at checkout was $4.61 or $19.61 with the cost of the groupon. Still a nice deal. Anyone used them before that can confirm the look? And can I pick if I like the flowers should still be closed so it holds for longer? Did you enter it in the shopping cart “special code” field? That’s where it goes, not at the checkout page. I had that issue. I’m putting the code in, in the shopping cart, and it keeps telling me it’s invalid or expired. I’m going to have to talk to them later, I’m getting too frustrated with it now. Does getting a good deal make it less thoughtful? 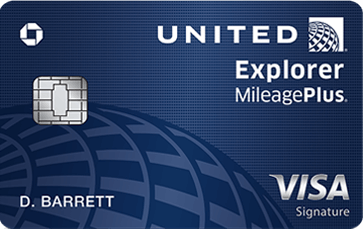 Can you use multiple vouchers in one order? Got it for Shavuos! Thanks, Dan. Had to pay tax on $44.99. I just ordered it for mother’s day. Great deal! Will it come in time for mother’s day ? For all those with tax, if you’re adventurous, you can go for this. Its a scam the $19 flowers cost you $55 after all the fees are added up. On checkout page on pro-flowers it says code not eligible on current selections. followed all links in this post. What am i doing wrong? This code is not eligible for current selections. Click Confirm Order Now to complete your order. Does anyone know Dans mailing address, if I want to order him ….. Ordered 3. I used, and I think you need to use, three separate accounts for Groupon and three separate accounts for ProFlowers. Also need to use different browsers, or if you work at a place that allows, incognito. Got one for my SMIL for BD, one for friends hosting for Shavuot, and one for a colleague whose FIL was niftar last week. I agree — getting a deal doesn’t make it any less thoughtful. In fact, my family knows that any gifts they get me are all the more appreciated when they are bargain/value. Dan, thanks as always, and may you and your family be blessed with nachas and good health this season and for many years to come. I used 2 on the same Groupon and proflowers account. Just curious, why would a workplace block incognito? I work for the US government. I guess they want to remove any possible ways their employers can obscure their searches? I bought 3 , 2 groupons under my name and 1 as a gift (but I used it). Used a guest account on pro flowers, didn’t have any problems. where do you enter groupon ?? You need to enter ‘Special Code’ earlier on ‘Cart’ page. Not confirmation page. Thank you for the great deal. My fathers shavuos will be enhanced. Thanks so much, Dan! You just saved me $100 on 4 sets of mother’s day flowers that I had to buy! were do i find the code that i bought? Thanks, a no-brainer if you have a mom who you can’t personally visit for Mother’s Day. I even used my son’s “college Groupon” account (25% extra savings) and groupon bucks bought at a discount to get my Groupon price down to about 9 bucks. I did have to pay some additional sales tax to ship it to Florida. noone is having the same issue? I put in the groupon code 5 times. In the beginning, middle and end- but it is not processing it. Thank you Dan!! (JJ) Really appreciate all your hard work!! Just ordered with mother day card. Expected on mothers day to PA! Total $36.43. Thanks Dan!!!!! Just ordered. Didn’t work on my phone but on computer worked fine. Code placed at the beginning of order process in the cart like others said. Opted for larger vase for extra 99 cents. tx so much! my in-laws will be so touched! I must of spent 2 hours already trying to figure this out. I give up. I lost all energy. I followed the directions to the tee, and in the end the total purchase is still 40$ or something like that? Should i just make the purchase? Put the code in like it says on top. And it should process it at the end. I too had tax added for Los Angeles. Anyone know if the chocolates on the 10$ lavender vase upgrade are kosher? PS, ask Lebron to come to the Knicks after your Cavs win the title ! $14.99 delivery charge, plus $9.99 for delivery on a Monday, plus tax! If you place the flowers in your cart but dont order, a few hours later, they will send you a 20% off coupon. Does that coupon stack with the Groupon code? The website would not take the coupon code, so I had to call, it took almost an hour to make the order. The delivery fee is higher for Mother’s Day. I could not make an order for less than $20, after using the groupon code. It sounded like a good deal, but it didn’t work out that way. Mothers Day and Friday before charge a crazy amount for delivery- select Thursday before mothersday to actually save that price. Thanks for the deal! Am doing 2- one for mothers day one for shavuos. Guaranteed May 11 Delivery	$9.99 it keeps adding this and im not checking off guarentte delivery..anyone else getting this? Thanks Dan! Just ordered the roses. Will order more now for friends and family. Works for me on Thursday this week or Friday next week without the surcharge. $6.97 for the remaining amount but I also bought a card. Easily worth it. great deal. still charged me extra 9.99 for “guaranteed delivery” whatever that is. Thanks! $4.15 in Il. Saves me the trip to CVS for a $7 card. My order is for Thursday before shvues. Ordered the groupon GC from eBay 20 min ago, still no delivery. Will be a good deal if it still works out. There was an extra 3.53$ for taxes. Still a good deal! i entered my code, however at checkout the shipping of 14.99 was added -? Just purchased chocolates for my 14yo daughter who is going in for surgery on Friday morning. Paid $7.77 at checkout on ProFlowers, so I spent $22.77 where someone without the coupon would have spent $47.77. Noice! We all pray for her wellbeing and great job!! So the 24 roses weren’t delivering any more till after mothers day so i ordered the 15 tulips for $30, what with LA taxes, extra delivery on mothers day etc it came to $41 including the groupon but this is at least $15 less than i would have spent to get ANYTHING to my inlaws in NY on mothers day,. so its for sure still worth it. Look at the other flower options in step 2? $85 groupon just worked for me as well. couldnt get this to work – either with my Groupon and then tried with the 20% off email that didnt work. called customer service and they were uselessl spent an hour and didnt get anything because i’m not spending 60 to get these when i purchased the groupon! It’s saying there’s no remaining balance available on this code. But the code wasn’t used yet? ! Customer service gave me a $40 refund. I also used one the day before and that worked well. Also, having problems with redemption code. On phone with Proflowers now. Hard to understand accent. Saying code should be 6 chars not 16. On hold now while she checks my 16 char code. After 50 minutes on the phone with two people, they told me the $40 voucher can only cover $30 of my bill!! 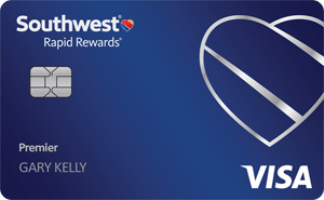 When I complained, they said it’s because my $5.97 balance (after applying the $40 voucher) is too small to charge to a credit card. I complained. She now says she doesn’t know why the voucher doesn’t work, but she is applying a $10 discount four times. And now the balance is $5.99. (She could not explain the 2 cent increase, but I believed she was doing her best.) There is something wrong with this company or with this groupon deal or both. I tried to apply my Groupon I bought yesterday to one of the items suggested above (20 tulips), but it didn’t work online! So I called and spoke with the rep for an hour! The rep said the only way the coupon code will work if I select flowers with at least a $39 value (not including shipping & tax), since the $40 Groupon must be applied to the base value – ie $39 + up. What do I do now? Just curious…has anyone successfully used the $40 Groupon to buy the Lillies which after everything comes out to $39? Because I noticed something in the fine print of the coupon which states that all of the Groupon must be used when making the purchase….Anyone get the Lillies that can confirm that it worked even though it was a dollar short? Also p.s. the Groupon just went up to $20 for $40. Has anyone successfully used the $40 only the lillies? Because after taxes and shipping it only comes out to $39….one dollar short of $40. Will it still work? i spoke to customer service. the issue many of us are having is that you cannot apply your groupon to any discounted flowers. Most of them are marked down so it doesnt work. I dont think was made clear when I purchased the flowers. It’s now coming up as $30 coupon for $15. Ebay offer is no longer available. They’re not letting the groupon be used with the discounted price. It works for discounted items that cost $39 before coupon…if you are using a $40 coupon. I used it and it worked….I paid $10 more because I ordered it for Thursday….but the coupon worked. They didn’t let you process the order using another card? We just got the flowers an absolute rip off!! I ordered 2 dozen colorful roses in an ombre vase, received 12 fully opened dried up roses instead!!! If you can cancel your orders CANCEL. I ended up calling them and asked to be transferred to the US customer service (other wise you’ll get someone from the Far East and you definitely don’t want to be dealing with them!). They are replacing my flowers but I won’t get them till next week, so I told them to deliver before Shavous and hopefully they will be what I ordered. I will not buy from this company again. Just got my order: the vase was shattered, it wasn’t the ruby ombre vase but rather a plain glass vase, and the flowers were in various states of being wilted already. What a disaster. I called to complain and got a supervisor to give me a complete refund plus send out a replacement order to arrive before Mother’s Day. But what a pain…will also not be ordering from them again! Same here. Just got mine and they look terrible. Two of them were actually brown and moldy. I got 2 dozen roses, but with a plain glass vase, and the roses were in bad shape as well. Some were already fully open, one was broken off its stem, they were different sizes roses and mostly red with a few colored ones. Very, very disappointed! Frum Women are all receiving pro flowers ahead fo the chag from their husbands – my friend just called me to tell me flowers arrived in the mail from her husband – i told her – he must follow dans deals too!! i just got my order bit i only got 1 dozen anyone else too? i only got one dozen..
hey Dan what should we do? Horrible!! I made three orders, had no problem using any of the codes on discounted items, but I just got my orders and all the flowers are horrible, brown, broken stems, wrong vase sent, plant has no dirt in the pot….I am so upset. I thought they were a reputable place? Only got 1 dozen roses too! I sent them an email. Anyone got a resolution from them? One dozen roses. not what I ordered. This will give me something to kvetch about after Yom Tov. Only got ONE dozen, complained and got full refund, chatted online.